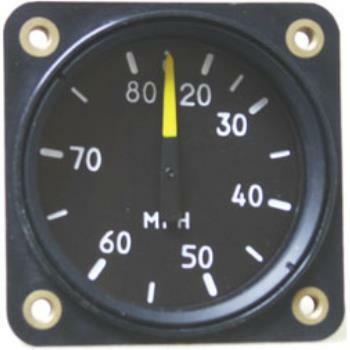 FALCON GAUGE Airspeed Indicators have been one of the most chosen flight instruments by fixed Wing Planes, Helicopters and Ultralight Aircraft. The great advantages of these gauges are excellent slow speed characteristics, very progressive increments, a variety of ranges, light weight, short length, and affordable price. FALCON GAUGE Airspeed Indicators ranging up to 80 MPH, 100 MPH, 120 MPH and 150 MPH make for excellent MPH increments for Helicopters and Ultralight Aircraft. All FALCON GAUGE Airspeed Indicators are housed in an aluminum case and consist of all metal parts.